G-Star does such insane women's jeans! 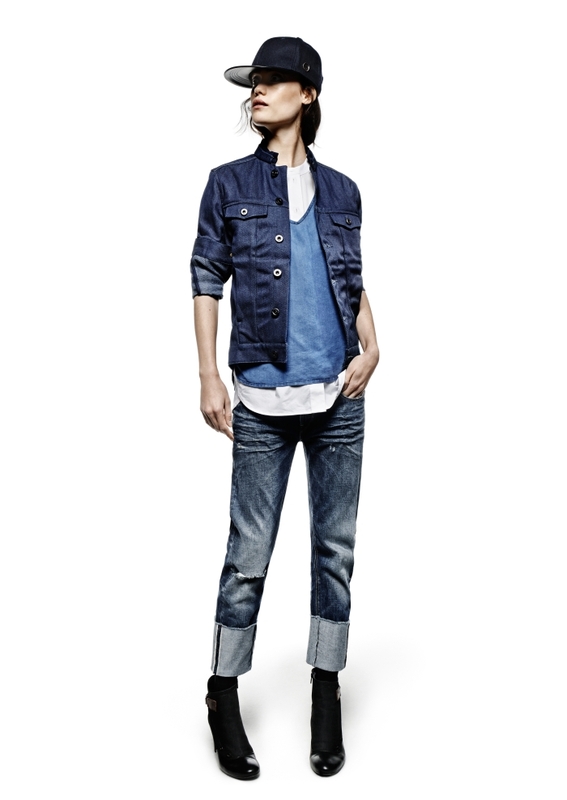 OMG, the G-Star RAW S/S 2014 Women’s Lookbook is just insane! There really isn’t one single “mundane, average, benign, nondescript jean” in there. Every single denim piece here is different, elaborate and styled totally out of the box!! 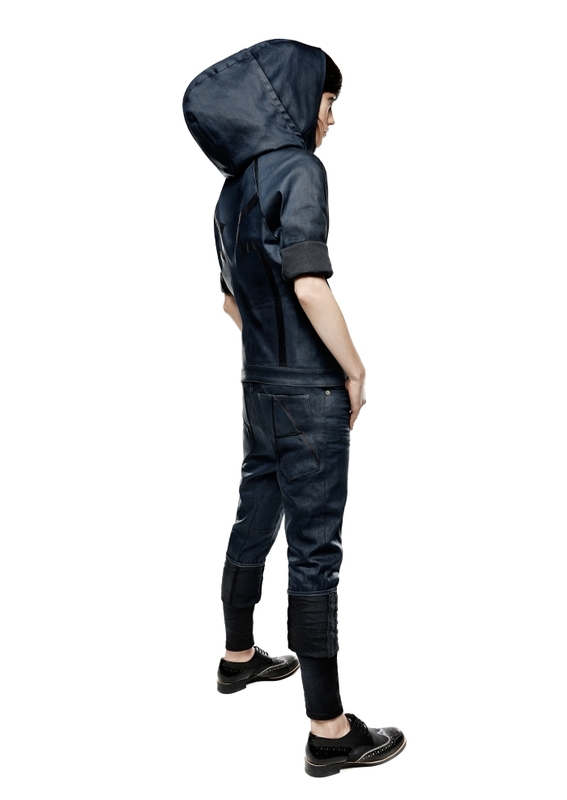 Above, in the first image, check out G-Star’s newest creation, the Type-C 3D loose tapered jeans. We’ve had them reviewed by Lana, and you can tell she was smitten! And don’t you just absolutely lust for this quadruple denim look on the image below LOL! 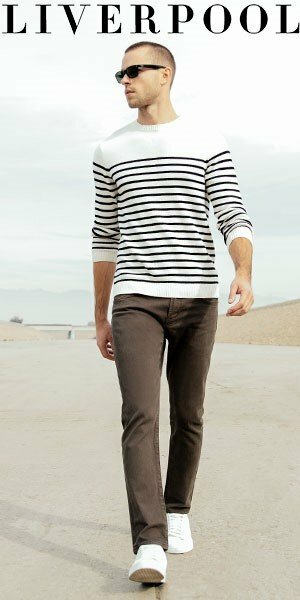 Exclusive to G-Star, Red Listing is a premium range of selvedge denim fabrics woven slowly on vintage-style looms. Every Red Listing jean takes a hefty 240 minutes of loom-time to produce, unlike modern denim fabrics that are woven nine times faster. Thanks to the authentic and slightly uneven surface texture produced, Red Listing has become known as the pinnacle of denim quality for both men and women. For women, Red Listing denim is offered in softer qualities with long, raw-edged turn-ups that draw attention to the selvedge normally hidden in the outer seams. Standout jeans in Red Listing are the work-wear-inspired Faeroes and Lumber, each one with forwarded side-seams and precise rear pocket placement for an extra-flattering boyfriend fit. NEW DENIM FITS: THE LATEST IN MODERN SKINNIES AND LAID-BACK DENIMS. 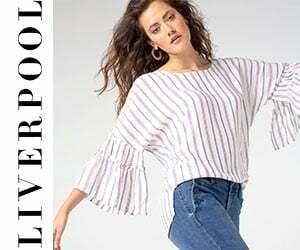 High summer sees a large G-Star offer of innovative new women’s styles that include flattering boyfriend fits, innovative streamlined skinnies and a host of denim jackets and shirts. 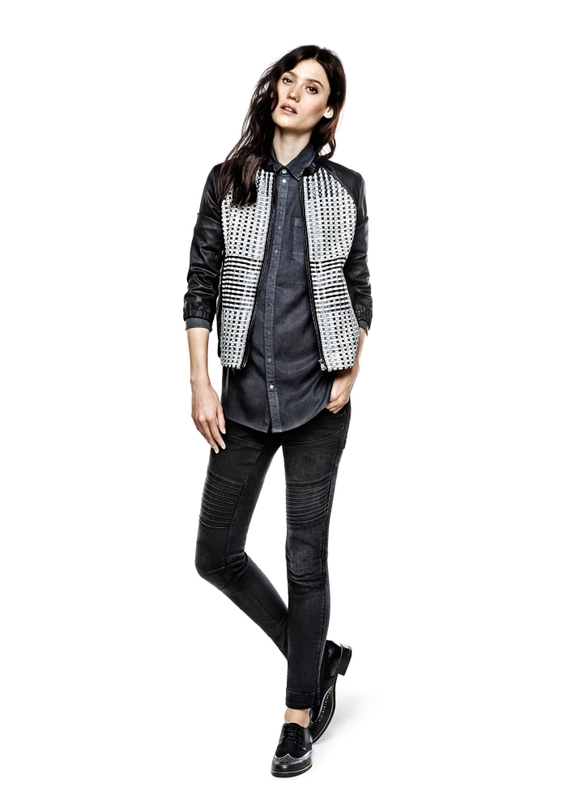 The latest boyfriend fits from G-Star give a laid-back feel without compromising on a feminine silhouette. Essential new fits are: the unrestrained Type C with cropped hems and an anatomical fit; the high-tech A-Crotch with mesh-trimmed rear pockets; and the 3D Arc pant in hand-finished, destroy denim. This season’s new skinny fits include the ultra-feminine Lynn Zip skinny with an exposed zip fly, and the derriere-enhancing Midge Sculpted Lift Skinny with removable inserts hidden by the back pockets. Both are available in Slander denim, a new and extremely versatile denim with more than 30% stretch-ability, excellent recovery, and an authentic denim look. 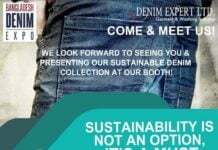 Like the new offer of denim pants, this season’s jackets and shirts come in a wide range of progressive fits and washings. Key pieces are: the Tailor chopper jacket in black, destroy denim; the sleeveless Tailor jacket with a vintage-style stitch-concept; and the low-hemmed Lancer shirt with a long and lean fit.
. This season, RAW Cargo blends G-Star’s inventive take on apparel with the functional aesthetic of military attire. 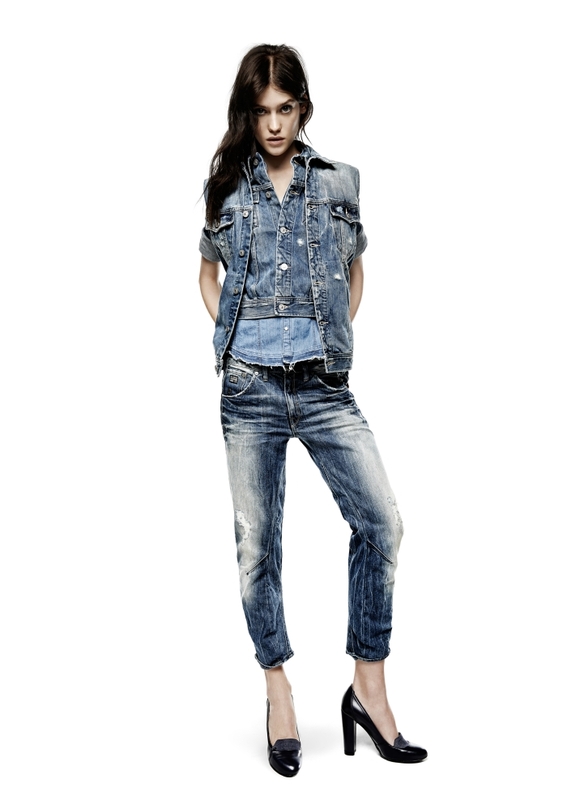 The result is a functional and highly wearable collection that combines easily with denim. Highlights are camouflage items reworked with a beach wave motif for men, and hyper modern, metallic tinted pieces for women. 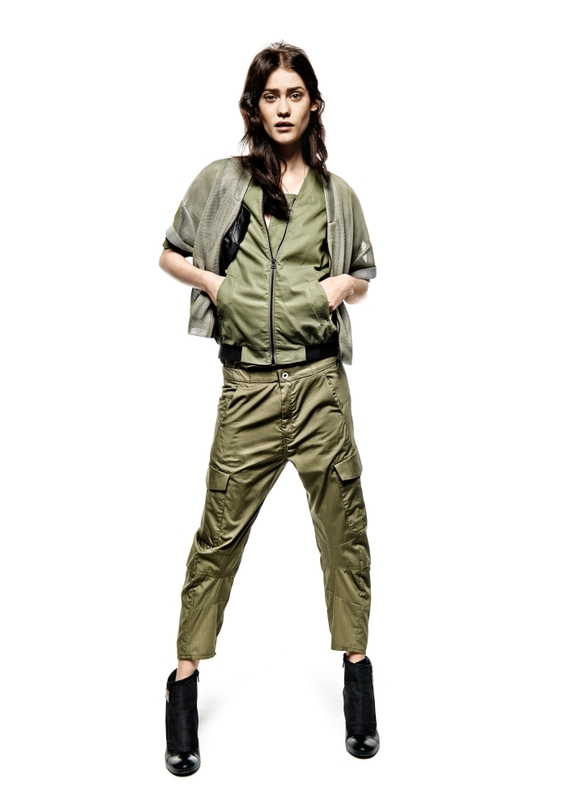 For women, RAW Cargo steps into the space age as a futuristic take on military style, mixing lightweight cottons and nylons with a palette of silver, copper, and khaki. Must have pieces for high summer are the cocoon fit Tycho parka in shiny nylon, the loose tapered Tycho pant in compact cotton, and the Tycho bomber in double-layer mesh.